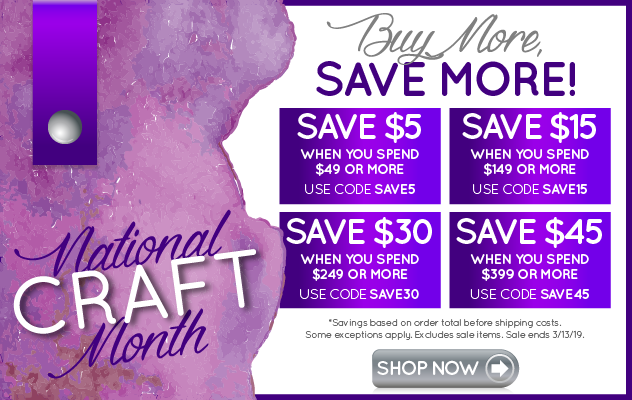 CraftySteals.com is an online store that sells one crafting product a day at an unbelievable price. Crafty Steals sells one hot steal per day until it is gone. Everything is discounted up to 90% off retail price so they sell out fast. Act fast or you will miss out, once an item is gone, it's gone.